Is modern life getting you down? 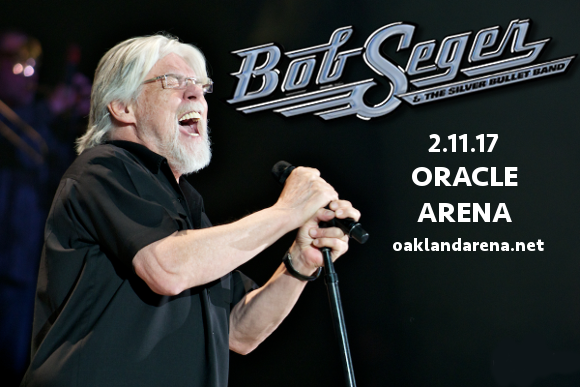 Treat yourself with tickets to the show of the year and blast to the past with Bob Seger and The Silver Bullet Band, on what could be their last-ever tour, with support from the wonderful Nancy Wilson at Oracle Arena on Thursday 2nd November 2017! Escape to a happier time with a night of the classic songs you know and love – get your Bob Seger and The Silver Bullet Band with Nancy Wilson tickets today!! With the tag line “one last time,” the heartland rock legend Bob Seger, going on 73 years and going strong from 1961 to now, has hinted that this tour might be his last prior to a hard-earned retirement. Die-hard fans have one last chance to catch him live!! Make sure you don’t miss it – grab your tickets NOW to be sure of your place at the show! !